Out on a left over stubble field this morning in the biting cold using the XP Deus V4, 11 inch coil and on the Deep setting with no alterations to the pre-loaded programme. Found the usual scrap and crap but also unearthed this Medallion. I can make out the names Henry Harrison and Wm Butcher on the Reverse with the Name Sheffield, a crest and also Town Regent. 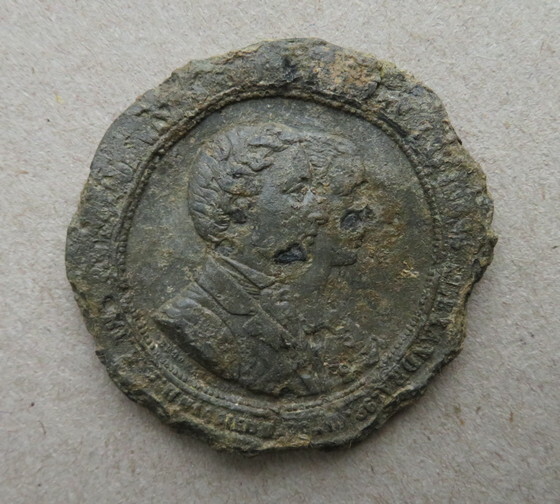 On the Obverse there are 2 portraits but I cannot make out any of the wording around the edge. 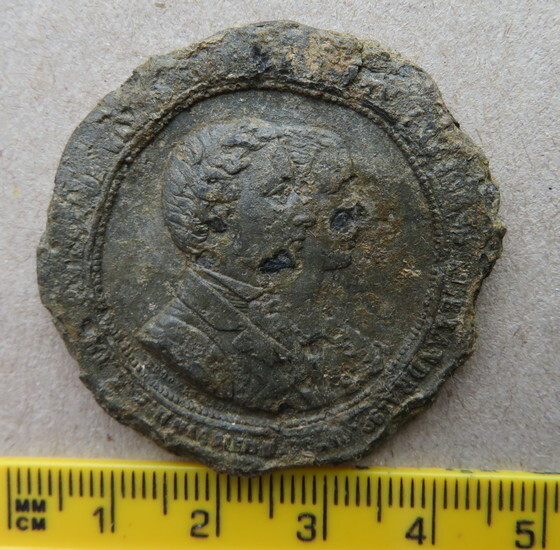 I have googled the known information but alas, I cannot seem to find anything so am asking if any members can assist in the ID of this Medallion please. William Henry Harrison was a former US President and the bust in the attached picture looks like him to me. 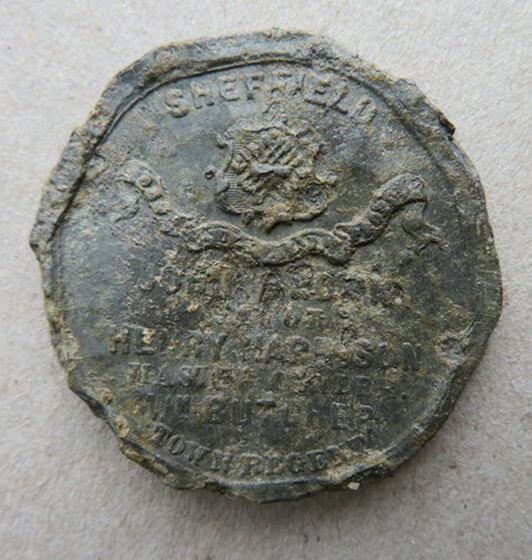 I think that it's a medal issued by the Town Trust, one of the organisations which ran Sheffield, to celebrate the marriage of Edward, Prince of Wales in 1863. None. However the Victorians went over the top with Royal medals. The style of clothing is mid Victorian and, somewhat tellingly, I can read Prince of Wa... and the date 1863 in the legend. From that I (quite brilliantly ) deduced that it is the marriage of the Prince of Wales as it is the only thing of any note that he did that year. The female actually does look a bit like Queen Victoria but they all did! The bundle of arrows on the other side are the arms of the Town Trust of Sheffield. I am pretty sure that there is enough of the legend readable to work it out for sure, but not on my computer.